2) I have been told I speak Spanish with a Mexican accent by other Spanish speakers. 3) I was addicted to Mexican soap operas in the 90’s. 4) I was asked last year to be the Spanish Language Liason (volunteer)at my daughter’s school for meet and greet events. 5) I make really good tacos and salsa. Due to the preceding reasons, I believe I was Mexican in another lifetime. Now let’s talk salsa. Summer is almost over. I feel it even here in the land of no seasons. The humidity seems a little less thick. If you look quick enough, you could see the leaves have slight movement. My mango tree has been so good to us this summer. I know, I’m always talking about these silly mangos. But seriously! The best mangos grow in my backyard. 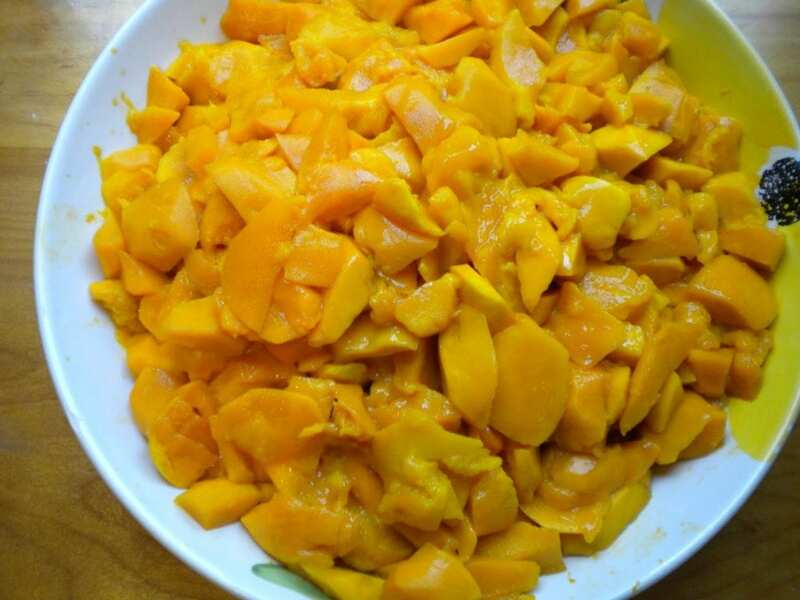 I wish I could send you each a mango to test it for yourselves. Mix all the ingredients in a small bowl. Serve immediately with tacos or just some good chips. If you are not a good sharer, hide the bowl from your guests and give them the boring jarred salsa. Here are all the mangos we cleaned yesterday. Now we will can them for the fall. Yum! This looks delicious! I am making a nectarine salsa tomorrow night. I might have to do double duty and make this too! great salsa!! 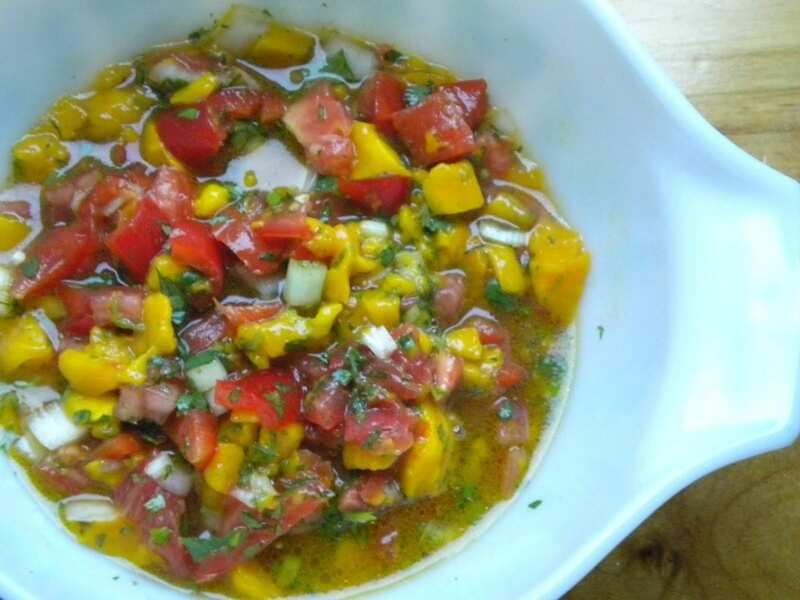 I just made a fruit salsa for my wife with mango's she had never had one before! Thank you Chef Dennis!Fruit salsas are so much fun and so good! 2. I love salsa and chips. 3. I enjoy all of your cooking and need to get some of the leftovers. Keep blogging and cooking.. so the family can reap the rewards! LOL this is too funny. All except the salsa which looks absolutely divine! Hi Jamie!thanks for visiting!It's all true:)Happy you liked the salsa recipe.